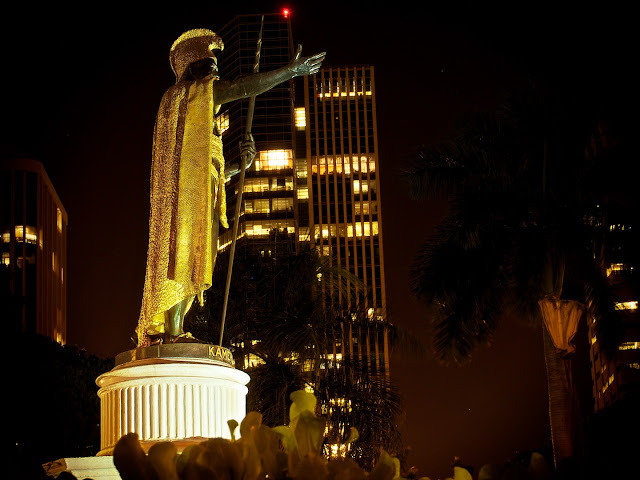 King Kamehameha in the midst of downtown Honolulu. King Kamehameha the Great was born in 1756 in the Kohala district of the Big Island. His full Hawaiian name is Kalani Paiea Wohi o Kaleikini Keali`ikui Kamehameha o `Iolani i Kaiwikapu kaui Ka Liholiho Kunuiakea. He was the first to unify the Hawaiian Islands. In 1878, King David Kalākaua commissioned Thomas Gould, an American sculptor living in Italy to do the sculpture. 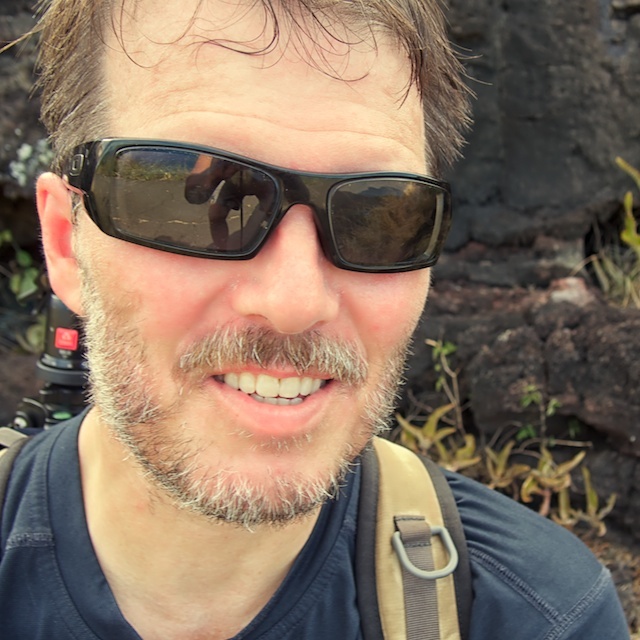 He used John Baker, a part Hawaiian and friend of Kalākaua, as his model. He depicted Kamehameha in his regal garb with a helmet of rare feathers. The gilded cloak is made of weaved yellow feathers of native birds. The spear in his left hand symbolizes the ability to defend oneself and one's nation; it is also a reminder that Kamehameha ended the wars among the Hawaiian people. His right hand is extended in a gesture of aloha. There are four statues in all: one in downtown Honolulu, another in Statuary Hall in Washington, D.C. and the original statue at the king’s birthplace in Kapaau on the Big Island, and a 14-foot, five-ton statue in Hilo. The 1896 legislature declared June 11th a national holiday and every year since 1903 Kamehameha statues have been ceremoniously draped in fresh leis.